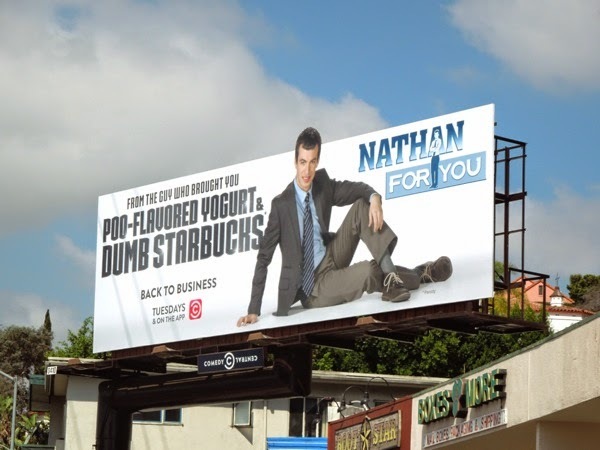 From the guy who brought you poo-flavoured yogurt, Dumb Starbucks and the shiny gold foil Nathan Fielder nameplate billboard from last March, here's the second season billboard for Nathan For You. The nerdy Canadian comedian is back on Comedy Central to offer his own brand of wisdom to America's small-business owners in his docu-reality show and get them to do all kinds of crazy things to help improve their commercial ventures. 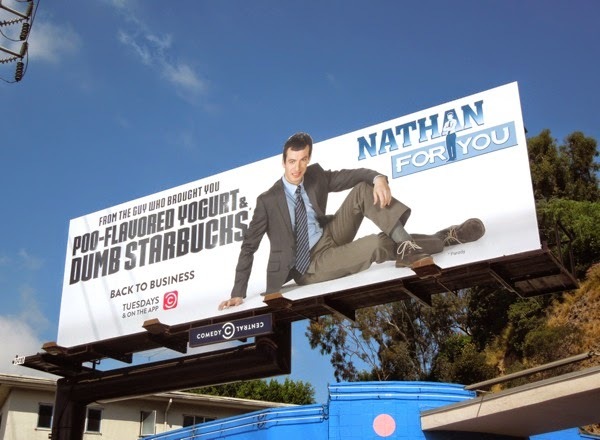 Nathan Fielder is getting back to business and Daily Billboard likes how there's even an asterisk next to the Dumb Starbucks* copy explaining that it's a 'parody' (probably for legal reasons, but also for all the dummies out there who may get a bit confused by this ad creative). 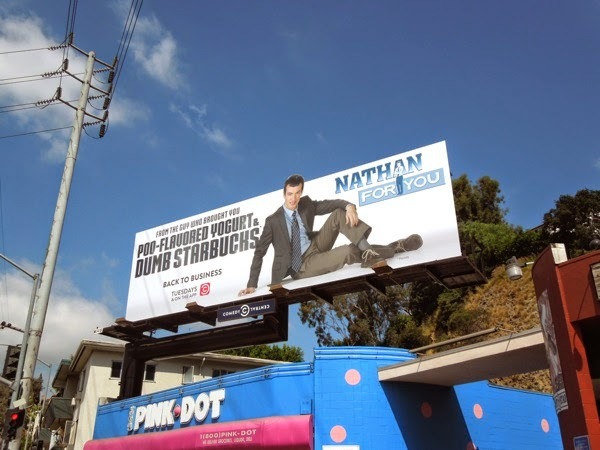 In fact Nathan For You did open a Dumb Starbucks pop-up in Los Feliz in February this year which masqueraded as a faux Starbucks outlet until it was revealed to be part of a stunt for the show. 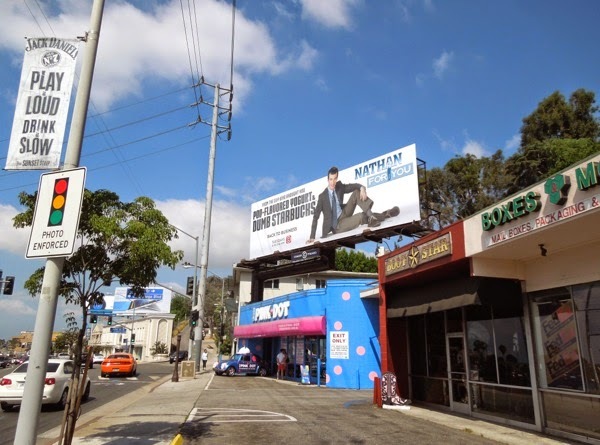 This sophomore season billboard was snapped along Sunset Boulevard at La Cienega Boulevard on June 27, 2014 and if you like this ad, be sure to also check out more tomfoolery in these other fun Comedy Central billboards.